The text effect you are going to learn today is part of Super Bundle Styles 3. This bundle gives you 79 Photoshop styles for a small price. Some of them are two-layered, which means that you can combine them with each other to create new cool text effects. Create a new 800 x 800 px 72 Dpi document and name it Ignis-Texture. Press D to reset the Foreground and Background colors, and then go to Filter > Render > Clouds. Now let's make it look like a seamless texture, reflecting the edges of the document. Pick the Rectangular Marquee Tool (M) and select the top half of the image, and then press Control-C and Control-V to create a new layer with the selected area. After that, rename the new layer to First Half. Press Control-T to activate Free Transform. Then right-click on the selected area and choose Flip Vertical. After that, press Enter to release the Free Transform. Press Control-A to select the entire document, and then pick the Move Tool (V) and align the First Half layer to the bottom edge of the document. Go to the Layers panel and click on the Add layer mask icon. Then pick the Gradient Tool (G) with the Foreground to Transparent gradient. After that, click and drag from the center of the document to the bottom. The arrow on the next image represents where to begin and where to end the gradient. Note that the gradient will be created on the layer mask of the First Half layer, hiding the top of it. Select all the layers of the Layers panel and right-click on one of them, and then select Convert to Smart Object to merge them into one. Now pick the Rectangular Marquee Tool (M) again and select the left half of the document. Then press Control-C and Control-V to create a new layer. After that, rename the new layer to Second Half. Repeat Step 5, Step 6 and Step 7, but choose Flip Horizontal and Align right edges respectively. Then create the gradient from the center to the right side, just like the arrow on the image below. Go to Window > Adjustments to open the Adjustments panel. Then click on the Gradient Map icon to create a new Gradient Map layer. Go to Window > Properties to open the Properties panel. Then double-click on the gradient bar to edit it. We are going to add three Stops to the gradient bar (just click below the gradient bar and the Stop will be created). Select the Second Half layer on the Layers panel and go to Edit > Define Pattern, name it Ignis-Texture, and click OK. After that, save and close the document. Open the background image that you downloaded from the assets (ignis_Bg.png). Now pick the Horizontal Type Tool (T) and select the Masque font. Then set the font size to 300 pt and write IGNIS. Then click on the Contour box to edit it with these settings (click on the Mapping box to create new points). After that, click on New... to save the preset, name it Ignis Contour 1, and click OK.
Now click on the New Style button and save it as Ignis-A. After that, click OK in the Layer Style window to close it. Press Control-J to duplicate the layer, and then rename it to IGNIS B and change its Fill Opacity to 0%. After that, right-click on it and choose Clear Layer Style. You can click and drag the texture on the text itself to better position the pattern. Now click on the New Style button and save it as Ignis-B. Then, click OK on the Layer Style window to close it. After that, delete the IGNIS B layer and clear the style from the IGNIS layer (right-click > Clear Layer Style). In the Actions panel, click on the Create new set icon and name it Neon Flame Text Effect. Then, click on the Create new Action icon and name it Neon Flame 300 pt. The recording of the action will start. 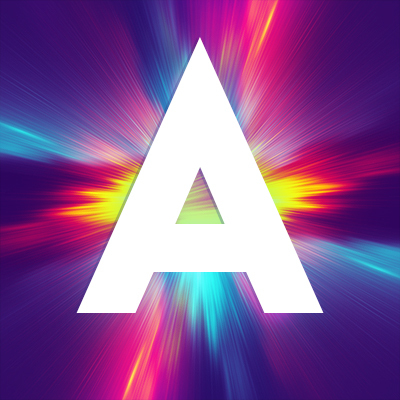 Change the name of the text layer to Neon Flame A. After that, change the text size back to 300 pt. Then, go to the Styles panel (Window > Styles) and click on the Ignis-A style to apply it. Press Control-J to duplicate the text layer, and then rename the copy to Neon Flame B. After that, go to the Styles panel again and click on the Ignis-B style to apply it. Now select both Neon Flame A and Neon Flame B layers on the Layers panel and right-click on one of them, and then choose Convert to Smart Object to merge them into one layer. Go to Window > Adjustments and click on the Create a new Gradient Map icon. Then right-click on the Gradient Map layer and choose Create Clipping mask to limit the effect to the layer just below. Rename the Neon Flame B layer to Neon Flame. Then, go to the Actions panel and click on the Stop Recording icon. You have to edit the Gradient Map layer to change the colors. The first Stop color is for shadows, the second is for mid-tones, and the third is for highlights. You can change the location of them to make the effect look darker or brighter. Also, you can add new Stops to add new colors between the existing ones. It is very easy to edit. In this tutorial, you learned how to create a texture using three simple Photoshop filters. Then we made it seamless by reflecting its borders. After that, we created two layer styles using the texture we previously created. Then we recorded an action to make the whole process automatic. And finally, you learned how to customize the colors of the final result.